Summer is upon us, and if you show your dogs (and even if you don't! 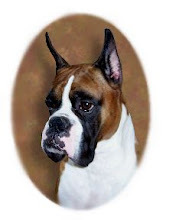 ), odds are you and your Boxer will be spending some time outside in the heat and humidity. The smooshed face that we love about our dogs, of course, makes them less able than some other breeds to cool themselves efficiently, so keeping a Boxer from overheating is a high priority. At outdoor shows, finding shady spots can be difficult, and running your car's air conditioner all day is impractical. 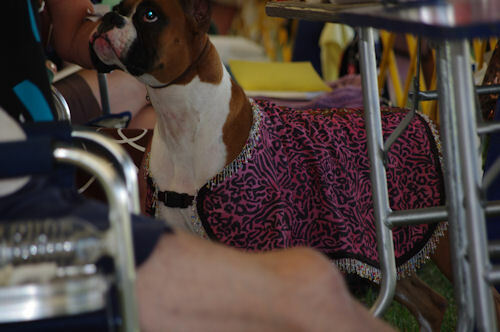 Try these tips to keep your dog cool and comfortable during the long hot show days.